We’ve spent the last 30 years preparing for your next event. The Potpourri House is a family-owned restaurant that provides exquisite event catering in Tyler, Texas. What kind of rooms are available? Our restaurant is equipped with several meeting rooms, each of which has distinct character and size. The result of catering in house is not only a superior culinary experience, but also an environment tailored uniquely to the size and feel of your group. In house, we’re able to accommodate groups with as few as 12 people and groups with as many as 170 people. Each of our private dining rooms includes not only tables and chairs, but also a podium, projection screen, speakers, microphone, and audio inputs. We cater events at any location within 50 miles of Tyler, TX. For off-site events, Potpourri House is equipped to cater for groups of up to 800 people. Potpourri provides dishes, silverware, tablecloths, and our professional wait staff for both indoor and outdoor events. Tyler is home to a number of fantastic event venues and we’re glad to make recommendations. If you need help, let us know when you complete your catering request and we will help you find the place that’s perfect for your event. What are your menu options? For events that occur before 3pm, we have created a custom lunch menu. Similarly, for events that begin after 3pm, we have assembled a unique dinner menu aimed at exposing your guests to some of the flavors that have made the Potpourri House the recipient of hundreds of incredibly kind words. JUST A FEW OF THE EVENTS THAT WE CATER. We cater virtually every kind of event, but here is a sampling because we figure that a little clarity never hurts. We’re convinced that truly great food sets the stage for a truly great wedding shower. Lucky for you, great food is our thing. Catering rehearsal dinners has for the longest time been a specialty of ours. If practice makes perfect, then you’re in for a fantastic meal. Wedding reception catering is a house favorite. It is a privilege to get to add culinary perfection to an all ready joyous day. Because the meal lies at the heart of every banquet, it is difficult to overstate the need for mouth-watering food. As a premier banquet caterer in Tyler, TX. It is our privilege to deliver both. Catering your business lunch is one of the simplest, most powerful ways to speak value to your employees and/or clients. So, get in touch. We’ll prepare a top-notch menu while you prepare a top-notch meeting. Trust us to leave a great taste in the mouths of your attendees with more than just a feel of a sack lunch. Children are a blessing, so we’re always thankful to take part in the celebration of the upcoming birth of a child. So, if you’ve been tasked with planning a baby shower, don’t stress about the food. We’ll make sure it’s perfect. The function of a family reunion is to provide quality time with extended family, but that’s often difficult, if not impossible, for the ones in the kitchen. So, let us cook and you go enjoy your family. Marriage milestones warrant much more than cheese and crackers. So, let us cater your anniversary party with culinary treats that capture and reflect the incredible significance of the day. Birthdays serve as often needed reminders to express your love and thankfulness for the people you love and who love you the most, so let us help you make the birthday parties you throw a tremendous blessing. Christmas parties are a great time to exchange gifts and such, but many of us look forward to the Christmas meal all year. So, let us cater your Christmas party, making it a meal that’s well worth the anticipation. Planning the menu for a graduation party can be stressful. After all, how do you provide a meal that legitimately reflects the magnitude of the day? In short, you let us handle the food while you enjoy the day. GO WITH THE CATERING YOUR GUESTS WILL LOVE. You just found the form that will make your next catering event a smashing success. 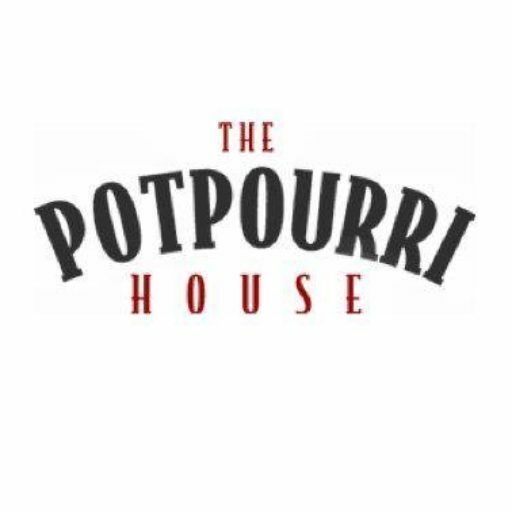 Are you interested in The Potpourri House hosting your event? Please describe your event and requirements.